Silicon Valley in Leipzig? – Together we make things happen. Data Science as well as cloud based environments are your playgrounds. As Team Lead Artificial Intelligence (m/f/d) you‘re building and inspiring your team in technical and personal skills. Our mission to our customers is to make them travel easy. We want to let complex processes disappear behind a simple user interface. We want to provide our customer a comfortable overview of all the travel opportunities out there that meet specific needs. We challenge us to transform complex technologies and multiple content sources in the branch of travel into a simple to use customer centric service. That’s why our brands ab-in-den-urlaub.de for travel packages and fluege.de for flight products are outstanding portals of Invia Group, one of Europes biggest player in the travel market. As technology evolves so do we. We are curious to become a home for clever minds and rare talents. If you share our ambition and challenge to move people through technology, we should get in touch. So, we are just that one click away from each other. 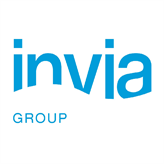 Want to get notified about new jobs at Invia Group?